LEGO fan and flickr.com member billyburg shared this nice little speeder in his photo-stream. This MOC is obviously based on the Luke's land speeder from Star Wars: A New Hope. Insead of Obi-wan and Luke, two blue Classic Space Astronauts are sitting in the vehicle. 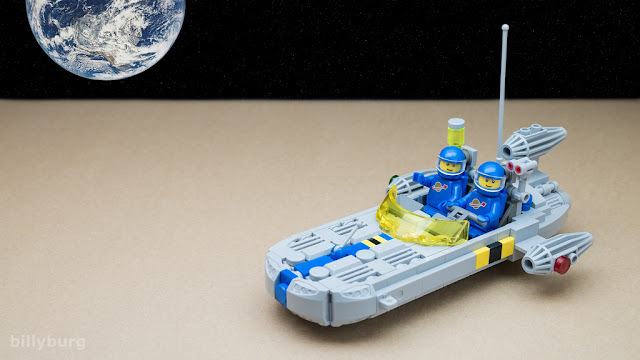 The builder managed to give a clear classic space look to the vehicle using the accurate colorscheme and minifigures. I personally like the old classic helmets more than the modern ones with the visor but other than that this MOC is perfect.